Adorn yourself in true AUrate style: uncompromising, unfussy, unbelievably beautiful. Wearable at two lengths, see more here. Please allow an additional 1-3 business days processing time. The number of characters allowed depends on the piece you choose. If you have any special request (special characters, font case...), please add them to the note section of your order at checkout. Need help? See an example here. $300.00 USD at AUrate vs. 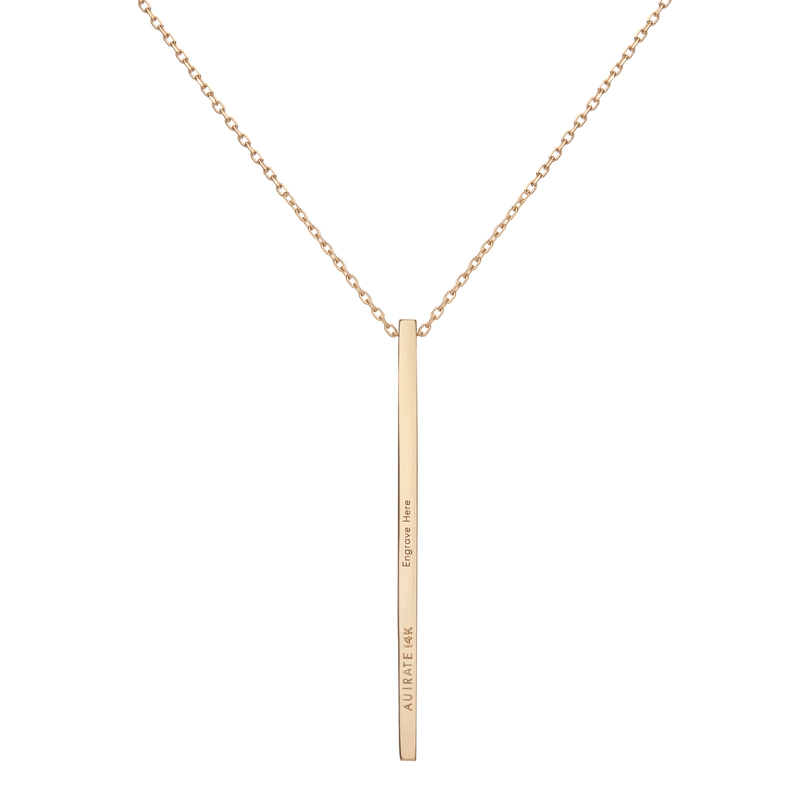 Featuring a single long bar pendant in purest gold, the simple rectangular form really allows the beauty of its material nature to shine through. Effortlessly easy and endlessly versatile, it can be worn at your choice of two lengths, or customised with your own engraving. A gold geometric bar loosely hangs on a hidden bail from a gold chain, secured by a lobster clasp with two jump rings for size adjustments.